You will enjoy this delightful new 30-minute video remembering Billy Graham’s life and impact. This video weaves in excerpts of Billy’s life that many of us have never before seen. My late mother Lorna gave her life to Christ at a 1985 Billy Graham Crusade in Vancouver, BC. Having gone home to heaven before Billy did, I am sure that my mother, with countless others, would have been excited to welcome Billy into heaven. 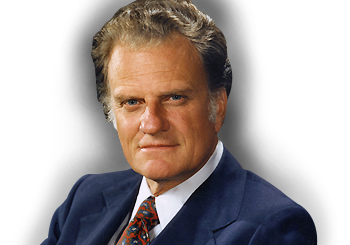 Many of us have Billy Graham stories, perhaps of attending a crusade, or of a relative or friend that met the Lord Jesus through Billy Graham’s ministry. Feel free to share your Billy Graham story in the comments section to this posting. You are also encouraged to repost this video and help send it viral as it contains the life-changing gospel. I am trusting that many will enter the Kingdom or return to the Lord after watching this 30-minute presentation. Do you know any friends, family, neighbours or co-workers who needs Christ and might benefit from watching this video?